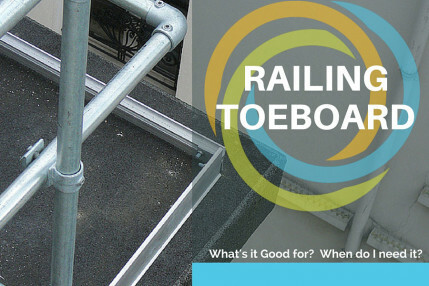 Toeboard is an important part of the OSHA safety railing regulation. See one of our past blog posts to learn more about when toeboard is required on your railing. 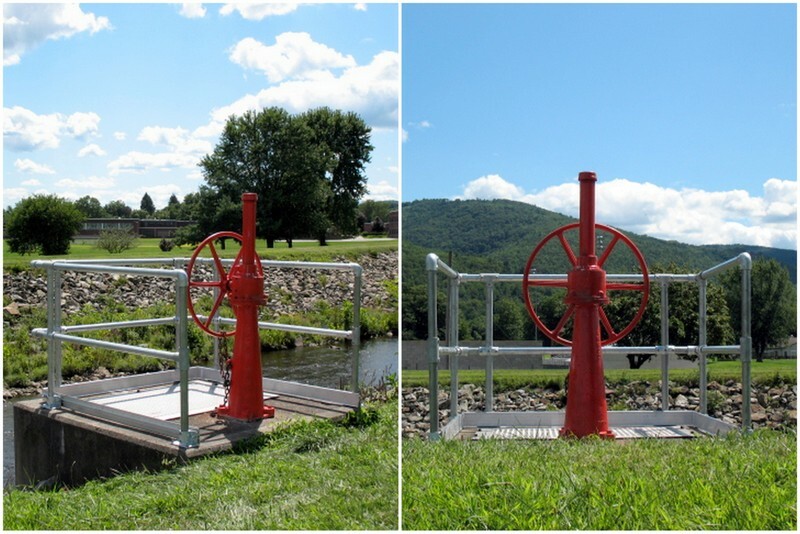 This safety railing, installed around an access point at the Ellenville Flood Protection Project, used integrated toeboard fittings to attach the required toeboard to the railing. 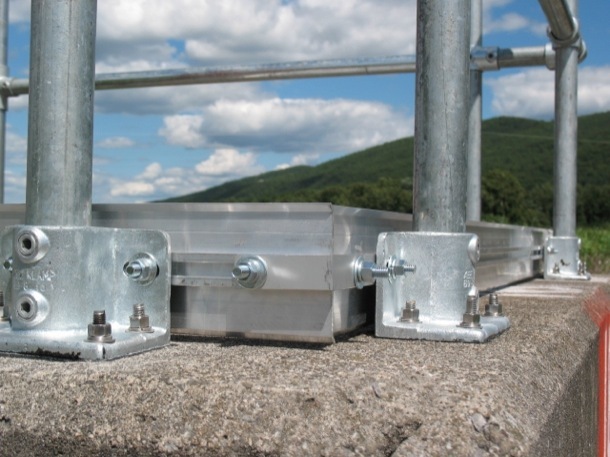 To make it easier to attach toeboard to your railing, our safety railing can use the special fitting pictured above. 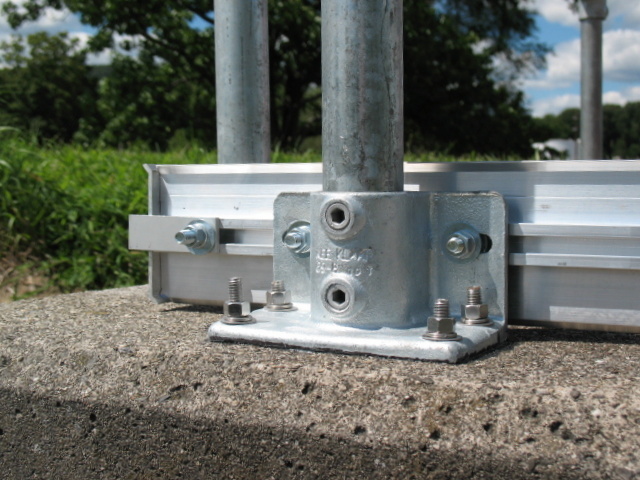 This fitting base has special slots that allow the toeboard to be attached directly to the railing with bolts and nuts. The advantage of this toeboard attachment method is that it allows little to no gap at the bottom of the toeboard -- an important part of the OSHA regulation. This toeboard base fitting also makes installation a snap. Using an extruded toeboard section, you can slide the toeboard right onto the bolts of the fitting. 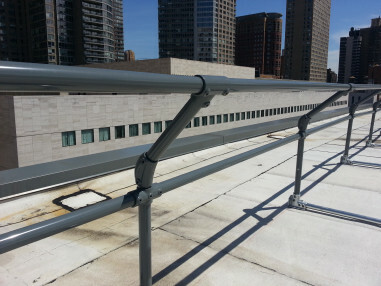 If your safety railing needs toeboard, be sure to get in touch with our Safety Railing support team and they can help provide you with the right solution.